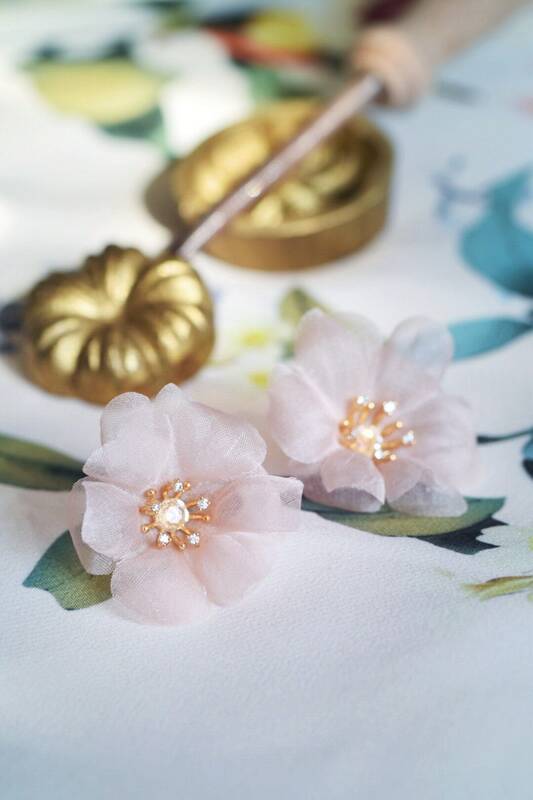 Cherry blossom earrings made with “vintage pink” mulberry silk chiffon and gold plated stamens with cubic zirconia crystals. Finished with real gold plated brass, lead nickel free ear stud. Each flower is handmade with traditional millinery tools and techniques!